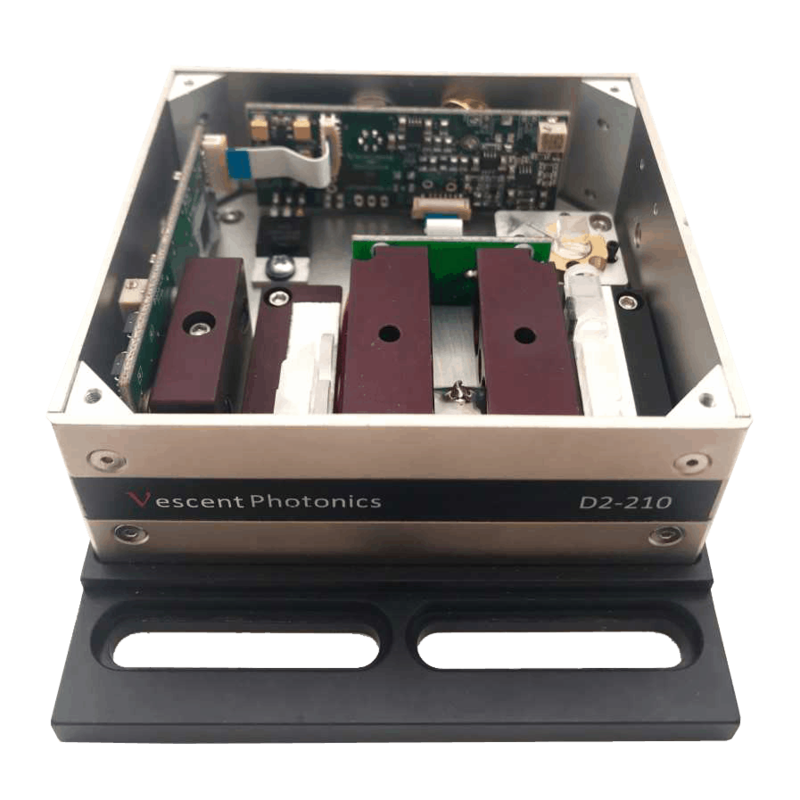 The D2-210 Saturated Absorption Spectroscopy Module is an integral piece of our complete line of photonics tools supporting the AMO Community. 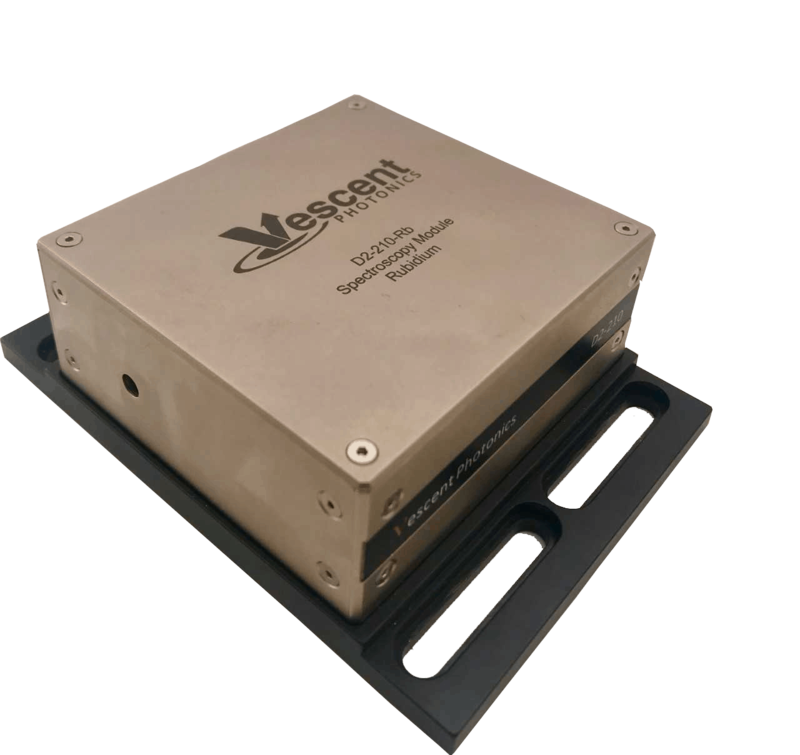 Vescent Photonics’ D2-210 second-generation Spectroscopy Module makes locking to atomic transitions easier and more powerful than ever before. Completely redesigned to maximize performance in a number of laser-locking environments, the D2-210 makes atomic absorption-referenced frequency locks simple. Designed to work as a general-purpose frequency discriminator, it is compatible with our D2-125 Reconfigurable Servo as well as other feedback loop filters.The D2-210 can be charged with either Potassium, Rubidium, or Cesium. It is magnetically shielded to reduce perturbations due to magnetic fields, and accommodates free-space or, optionally, a fiber-coupled input. The D2-210 allows flexible operation, accepting laser powers from microwatts to over a hundred milliwatts, and it also offers improved, easier-to-align optomechanics and a beam path that effectively eliminates back reflections to the laser. The D2-210 provides a signal to lock to either the side of an absorption or the peak and can optionally support Doppler-broadened background subtraction. 1For best results. 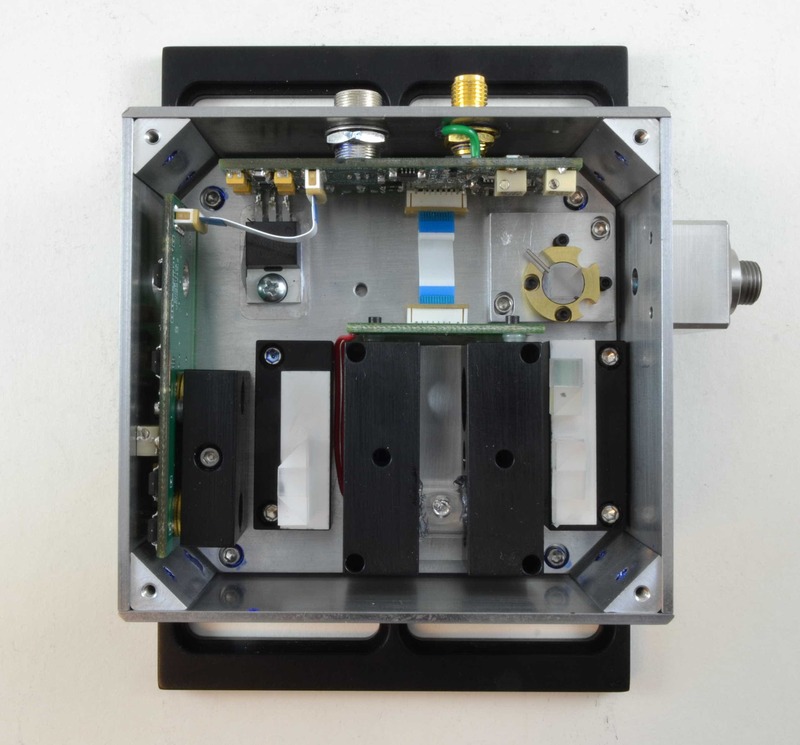 As little as 500 µW will produce usable signals.